The IPCC's catastrophic AGW hypothesis - and the entire climate change alarmist community - is getting hammered from all sides by the growing research that points to natural climate variation (ie, oscillations, patterns, cycles) being the principal causes of warming since the 1950s. The latest evidence is coming from satellites that monitor the world's clouds and energy inflows. As the adjacent charts depict (information derived from the RSS and CERES satellite datasets) at least one-third of ocean heating could be explained by the simple change in cloud cover over the oceans for a recent 20-year span. Combine this natural cloud-induced warming with other earthly/cosmic/solar factors, which also would contribute to the modern warming trend, and it does not leave much of the recent modern warming being a direct result of the IPCC's evil CO2 mantra. It's a dirty little climate science secret. The IPCC, NOAA, NASA, the EPA and other agencies promoting catastrophic global warming hope politicians and the public don't realize the significance of the fundamental physics. Simply stated, the more CO2 increases in the atmosphere, the less influence CO2 has on global temperatures - it's a logarithmic thing. The adjacent chart though depicts the factual reality about the ever smaller impact of growing levels of CO2. The reddish columns represent a plot of global temperature sensitivity to CO2. Specifically, they represent 60-year changes in global temperature divided by the corresponding 60-year change in atmospheric CO2 levels (ppm) - a ratio. The bright red curve is a simple 20-period average of that ratio, which has been declining since the 1950's. Recall that it is the IPCC that states categorically that modern "dangerous" warming started in the 1950s with the growth of industrial/consumer CO2 emissions. Finally, the rapid growth of total atmospheric CO2 levels is shown by the black dots. When it's all put together, per the IPCC, the red columns should be gaining in height as the years pass due to the accumulation of CO2 emissions in the atmosphere grows. Taller columns means that the ever increasing amounts of emissions are causing an even greater temperature change. Clearly, the empirical evidence reveals that as atmospheric CO2 levels have grown, the impact on 60-year temperature changes has shrunk. From a high in the 1950s, to a very low impact as of 2012 (see blue column). In summary, it's these stubborn climate facts that expose the invalidity/weakness of the AGW alarmist hypothesis. Sure, CO2 has an impact on temperatures but its maximum impact was decades ago and it is shrinking. As human CO2 emissions continue to increase in the future, the resultant global warming will be smaller and smaller, and will continue to be overwhelmed by natural climate variation. Note: Excel used to plot datasets. Ratio is simply the 60-year change in annual HadCRUT4 temperatures divided by the 60-year change in annual atomspheric CO2 levels. Dataset sources. Dr. William Happer is one of America's preeminent physics experts, who now calls Princeton University home. He is the scientific antithesis of those fringe, global warming alarmists predicting climate change disasters and doomsday over the last few decades. Fringe-green personalities such as Joe Romm, Bill McKibben, John Holdren, Michael Mann, Leonardo DiCaprio, James Hansen, Al Gore, Jeff Masters, Paul Erhlich are just some of the quack climate prognosticators-of-hysteria that Happer usually mops the science lab floor with. And Happer is at it again, taking to task the anti-science clerics in a piece written for the Watts Up With That? blog. His current ire is focused on the crazed CO2-fanatics' claims of future temperatures by year 2050. In his article, Happer discusses the basic disregard of physics that a hapless (witless?) WSJ reporter is responsible for. Instead of writing about known science, she instead lends credibility to an utterly ludicrous +6.0 degree warming prediction from the fundamentalists, which has no real basis in physics. As the good doctor explains, per the logarithmic nature of a doubling of atmospheric CO2 levels, the subsequent global temperature increase will essentially be a +1.0 degree increase - not 2 degrees, not 3 and certainly not 6. This is irrefutable physics, explained in detail via the requisite formulas. The real-world physics does not allow for a fantastic 6 degree increases to be achieved; for that to happen, the IPCC's mythical positive feedbacks have to arise. In reality though, there is no acceptable physics science that supports the belief that positive feedbacks will arise, and at the same time produce the hypothetical big temperature increases. And adding to the green clerics' fallible alarmism, there is absolutely no empirical evidence that the fantasized feedbacks of their consistently wrong climate models even exists (hmmm...kind of like those fantasized, mythical 72 virgins). 1. The blue curve (with the bluish area underneath) represents the simple running 12-month average of global absolute temperatures calculated from HadCRUT4 monthly anomalies. Since the end of the Little Ice Age (~1850), the actual global temperature increase has been about +0.85°C, through February 2013. 2. The red curve represents a simple 60-month average of the blue curve's data. The recent decade+ global warming pause (i.e., "stall") is clearly evident. 3. The light orange curve is a 2nd order fitted trend of the global temperature measurements extended out till year 2050. Based on this Excel fitted trend of all the empirical evidence, global temperatures are headed for a 15.0°C average by 2050 - an increase of about +0.53 degrees over today. 4. The darker orange arrows on the right axis represents the likely range of temperature increase from a doubling of initial 1850AD CO2 levels that known physics supports (although Dr. Happer's calculations indicate an increase of+1.0 degree, this Excel chart utilizes a narrow range that many other experts have spoken to). The possilbe range per the physics: +1.0 to +1.5 degrees. 5. The black-dotted curve includes monthly estimates of monthly atmospheric CO2 levels prior to 1959, and thereafter, the actual monthly measurements. 6. The grey curve is a 2nd order fitted trend for CO2 levels extended out to year 2050. 7. Finally, the pink-dashed line represents the non-physics +6.0°C global warming increase predicted by many of the fear-mongers. This visualization of the empirical reality lends solid observational support to the physics laid out by Dr. Happer. In addition, the chart denotes how absurd the +6 degree fear-mongering is, and why "scientists" and reporters promulgating it should not be believed. Per the IPCC's global warming hypothesis, at the very top of the troposphere, above the equator region, is the location (12km, 200hPa @ 20°N - 20°S) that triggers a positive climate feedback, which produces the mythical runaway, tipping point of accelerated, dangerous global warming, which of course is unequivocal and irrefutable, except when it isn't. This location is often referred to as the tropical "hotspot," supposedly an artifact of modern industrial/consumer human CO2 emissions. The high climate sensitivity programmed into the IPCC's climate models is entirely dependent of this hotspot of positive feedback - with the hotspot, climate models predict a scary global warming range that spans from 2°C to 6°C. If there is no tropical upper troposphere hotspot, then there is no positive feedback, and thus, no climate change crisis as predicted by the IPCC. If there is no hotspot, then the IPCC hypothesis of CO2 caused global warming (AGW) is essentially proven false. Based on accepted physics, without the positive feedback triggered by the hotspot, surface global temperatures from a doubling of pre-industrial CO2 will increase by some +0.5° to 1.5°C. That is the range climate models predict (depending on the given climate model) if the "hotspot" does not exist. The IPCC's gold-standard for upper troposphere data is the UK's HadAT2 dataset that represents high altitude balloon/radiosonde measurements. These balloons provide a higher resolution of the atmospheric layer temperatures than current satellites can provide. Over time, approximately 28+ million radiosonde measurements have taken place. #1.The IPCC's tropical "hotspot" does not exist. #2. Atmospheric CO2 levels over 350ppm do not cause a hotspot to occur. #3. The climate sensitivity to CO2 is lower than expert assumptions. #4. Temporary natural El Nino events do cause a spike in upper troposphere temperatures but then return to a lower temperature state (no positive feedback loop). #5. The IPCC, its experts and climate models have been wrong about the mythical hotspot since the UN created the IPCC (1988). #6. The continuing abysmal failure of climate models is likely associated with the lack of the mythical, hypothesized hotspot. #7. The AGW hypothesis of tipping point, climate positive feedback is proven false after decades of zero empirical evidence supporting it. #8. Despite all empirical evidence, IPCC scientists and bureaucrats will keep pushing the hotspot, positive feedback hypothesis in order to continue their lucrative taxpayer funding. "It is demonstrated that even with historical SSTs as a boundary condition, most atmospheric models exhibit excessive tropical upper tropospheric warming relative to the lower-middle troposphere as compared with satellite-borne microwave sounding unit measurements. It is also shown that the results from CMIP5 coupled atmosphere–ocean GCMs are similar to findings from CMIP3 coupled GCMs. The apparent model-observational difference for tropical upper tropospheric warming represents an important problem..."
"Climate models and theoretical expectations have predicted that the upper troposphere should be warming faster than the surface. Surprisingly, direct temperature observations from radiosonde and satellite data have often not shown this expected trend." Sherwood et al 2008. "Section 9.4.1.3.2, p. 9-26, lines 31-33: "In Summary, there is a high confidence (robust evidence although only medium agreement) that most, though not all, CMIP3 and CMIP5 models overestimate the warming trend in the tropical troposphere during the satellite period 197902011. The cause of this bias remains elusive."" "However my working hypothesis is that Santer would have continued to ignore these demonstrations, were it not for the Fu (2011, GRL) paper, which included Syukuro Manabe (godfather of CO2-climate modeling) as co-author also showing disagreement between models and measured temperatures...However, once the Fu 2011 paper came out, it became “establishment” that there was in fact a significant disagreement between models and measured temps. So now after the Fu 2011 paper we have (Thorne, 2011 [JGR], Po-Chedley (2012), Seidel (2012) and Santer (2012) all agreeing that models and measurements for tropical troposphere temperaures cannot be reconciled." Note 1: A simple hotspot explanation summarized from this article: Increasing CO2 levels causes atmosphere to warm; then atmosphere causes Earth's surface to warm; warming of oceans cause evaporation; increased evaporation leads to more water vapor in the upper troposphere; water vapor is a powerful greenhouse gas that warms the atmosphere even more (positive water vapor feedback); the Earth's surface warms even more; and then auto 'repeat and rinse' until Earth's oceans boil, per an "expert." Note 2: A scientist discusses the IPCC hotspot issue and dismantles a lame pro-hotspot argument (geesh, talk about alarmists' "scientific" mis-truths). Note 3: The catastrophic global warming alarmists, be they "scientists" or political hacks, are very alarmed that the "hotspot" never materialized. To cover up this major failure of the AGW hypothesis, they usually attempt excited hand-waving to distract the gullible, including: the disingenuous, circular logic claim that it must exist because the models predict it, thus the measurements must be wrong; or the amazing claim that the hotspot exists but it just doesn't reveal itself to humans (really, trust us, it's hiding). Additional modern and historical temperature charts. The adjacent chart plots 30-year changes in HadCRUT3 global temperature dataset, which is considered the gold-standard by the IPCC and the world's scientists. The chart's starting point is January 1880, which represents the first data point (pink circle) of a 30-year temperature change, from January 1850 to January 1880. The chart's last plot point (green circle) is the difference from December 1982 to December 2012. The black curve is the simple 5-year average (60-month moving) of all the 30-year changes. And the light grey curve is the plot of monthly CO2 atmospheric CO2 levels from 1880 through 2012. #1. CO2 levels have consistently increased, with short pauses, over this extended period. #2. 30-year temperature changes peaked both in 1939 and 1998, and then subsequently declined indicating a more powerful-than-CO2, non-greenhouse gas influence at work. #3. Higher CO2 levels are not causing runaway, accelerating, rapid, irreversible, dangerous and/or tipping point long-term global temperature changes, which is contrary to all conventional and "consensus" IPCC expert opinions and their climate models. #4. The simple 5-year moving average curve during the very recent past indicates a declining period for 30-year changes, possibly signalling an extended cooling phase is upon us. #5. The 30-year temperature changes, prior to the post-1960 consumer/industrial surge in human CO2 emissions, rival those of the modern up/down 30-year changes, in terms of amount, duration and speed. #6. Long-term (30 year) global temperature change appears to follow an up and down pattern - an oscillation phenomenon, so to speak, that occurs regardless of CO2 levels. #7. Since this oscillation is not being produced by higher CO2 levels, then some natural phenomenon is likely driving long-term global temperature change, overwhelming the apparent trivial impact of CO2. There are any number of natural climate phenomena working singularly, or in concert, that are responsible for climate change. An example of one such natural pattern is the Atlantic Multidecadal Oscillation (AMO) that is adjacent and shown here. As can be seen, the AMO pattern is curiously similar to the above 30-year global temperature change plot of peaks and valleys. As NOAA scientists have established, this powerful, climate-changing oscillation has been identified in historical paleoclimate proxies, confirming that human CO2 has nothing to do with it. And the AMO is just one of many natural climate forces. Another powerful, natural climate-change phenomena that dwarfs the global warming impact of human CO2 is the El Niño–Southern Oscillation, which is best explained by this expert. IPCC Confirms CO2 Is Not A "Thermostat" & Global Warming Is Not "Dangerous"
Taxpayer-funded climate scientists and ideologue politicians have continuously predicted that the globe will suffer from dangerous global warming; and they claimed that human CO2 emissions acted as the world's climate thermostat. Fortunately for the world's citizens, the experts and pompous political elites and elected officials have been egregiously wrong. #1. The global temperature dataset clearly indicates that the world has exhibited a slight global cooling trend since the spike in temps from the super El Niño of 1997/98. That's 180 months (15 years) of non-dangerous global warming. #2. The chart's thin black line is a plot of the monthly changes in CO2 levels. The correlation between monthly temperature and CO2 changes ranges from slim to none - this supposed thermostat relation of CO2 to temperatures has a ludicrously low R2 of 0.01. CO2 is not only not a "thermostat," it's likely not even a major climate forcing, per the actual data. #3. While global temperatures have been slightly cooling, the global changes in monthly CO2 levels have been slightly increasing (note smooth grey curve - a 2nd order fit). #4. Simply stated, this actual IPCC gold-standard empirical evidence robustly refutes all the anti-science predictions/claims of climate "experts" and alarmist "elites." And, as we are currently witnessing, the green-sharia, anti-human fanatics are now having to do some serious crawling-back from their previous anti-CO2 agenda and bogus-science blinders to the climate reality. Additional modern temperature charts, plus other climate graphs. Likely, the most absurd, recently published, fear-mongering NASA's Hansen prediction was that the oceans will soon be boiling from increased atmospheric CO2 levels (click on James Hansen picture for video of the "boiling" prediction). Depending on the salinity of the given area's ocean/sea water, the boiling point will range from greater than 212F degrees to 215F degrees. After decades of massive human CO2 emissions how close are the oceans' temperatures to NASA's doomsday boiling? It's not even a disaster-twinkle in Harold Camping's eyes. The above chart plots the impressive growth of CO2 levels since 1880, and the associated, yet incredibly small increase of the oceans' temperature (°F). For context, the charts include plots of NOAA's global, N. and S. Hemisphere, U.S. continental and the Met Office's Central England temperatures. None of these plots depict the "runaway" warming predicted by Hansen (note the near-boiling 210°F on left axis). To be more specific, for the oceans to do a James Hansen boil, they need to warm by only some 140F degrees. But over the last 132 years, they have warmed less than one degree - not exactly "runaway" as envisioned by NASA. Additionally, if we are on the path to runaway boiling oceans, the UK's home island would be experiencing some very hellish warming in recent times. Although the Central England temperatures have increased since 1880, over the last 15 years they are declining at a -7.90°F/century rate - that's right, a minus 7.9 degrees per century. There is hope though. Like Harold Camping, James Hansen appears to be backtracking from his green-religion, non-scientific predictions. The UN's IPCC continues to claim that the climate is highly sensitive to CO2 levels. This high sensitivity, in combination with the mythical positive feedbacks, will thus supposedly increase global warming some 4 to 6 degrees centigrade by year 2100. However, the actual temperature data do not support this speculative AGW hypothesis. If the climate was highly sensitive to CO2, then the adjacent plot of data would look substantially different. Because of the huge increase over the 50 years ending 2012, the global temperature increase should be significantly larger than the previous 50-year period ending 1962. Clearly, levels of atmospheric CO2 are not as all powerful as the IPCC fear-mongering would have us believe. In fact, despite an increase of CO2 levels that was 4 times larger than the previous 50-year period, the global temperatures ending 2012 increased less, suggesting that the climate sensitivity to CO2 ranges from lame to very weak. This is not the only evidence that the IPCC's exaggerated claim of high sensitivity is scientifically suspect: see here, here, here and here. Unsubstantiated claims of rapid global warming have been made by a variety of climate scientists and journalists without any proof. As in the past, the latest 2012 year-end data from NOAA confirms that the feared CO2-caused accelerated warming is not climate science reality. The adjacent chart is a plot of annual changes from calendar year to calendar year. Since the 1880s, annual changes have remained in a narrow band with no acceleration trend causing a continuous positive breakout from that historical band. The 5-year average (blue curve) of annual changes reflects the stability of temperature changes, revealing no major impact from the ever-increasing levels of atmospheric CO2. The RSS satellite global temperature measurements indicate that the 1997-98 Super El Niño started from the low of April 1997. From that point, and all the way through July 2012, the global atmosphere has cooled - a total of 184 months. This cooling trend took place during a significant increase of atmospheric CO2 levels. This slight cooling trend is opposite of what the IPCC (and NASA's James Hansen) predicted for global temperatures. The IPCC prediction of rapid global warming is based on the hypothesis that human CO2 emissions would increase atmospheric CO2 greenhouse gas levels; the increase of greenhouse gases would allow more radiated heat to be retained; the retained heat would warm the atmosphere; and, the atmosphere would then warm the world's oceans and land surfaces. Such predicted warming would set in motion a "runaway tipping point" that would produce catastrophic climate disasters and a doomsday for civilization. Instead, as the adjacent chart indicates, the lower atmosphere since 1997 (per the RSS satellite measurements) has actually been exhibiting a cooling trend, versus the the obvious warming trend for the January 1980 to April 1997 period (red curve on chart). Like the RSS dataset, the HadCRUT global temperatures also exhibit almost the same warming/cooling dichotomy. What is very apparent in both datasets is that the '97-98 Super El Niño shifted temperatures up to a new level, which then global temperatures resumed their normal variation around. Subsequent to this temperature range shift, growing CO2 emissions have not caused the long predicted "global warming." #1. Satellite measurements reveal both a modest global warming and very slight global cooling period since 1980. #2. Levels of atmospheric CO2 appear to have no consistent influence on global temperatures since 1980. #3. Global warming is not "irrefutable," "unequivocal," "rapidly increasing," "accelerating," "incontrovertible," "indisputable," "unquestionable" nor "unprecedented." It's quite the opposite of all these qualifiers. #4. Any IPCC scientist, climate researcher, academic, government bureaucrat, journalist and pundit who states and/or implies that any 'qualifier' in point #3 is the 'truth,' is, quite honestly, a serious liar. The empirical evidence is the scientific truth, not a person's blatant verbal misrepresentation. #6. As the satellite data show, the hot summer in the U.S. was not a result of global warming (as suggested by many covered by points #5 and #6) since global atmospheric temperatures during May, June and July were not extreme nor unusual. Note: Chart source of satellite data, CO2 data. Read here. It is common knowledge that global temperatures have not increased over the last 15 years despite massive new amounts of human CO2 emissions. And it is well known that the IPCC climate "experts" have been massively befuddled by this. The current global climate models are dominated by the the greenhouse gas CO2 input. As the IPCC explains, their models can't accurately predict temperatures without knowing the atmospheric CO2 levels. Of course, recent experience clearly demonstrates the lack of models' temperature predictive skill even when the levels of CO2 are known. It is now obvious that the climate models' assumption that CO2 levels dictate global warming/cooling is seriously amiss. The European team of Humlum et al. has examined both the CO2 and temperature datasets and has determined that temperature changes actually occur before the corresponding CO2 level change. This is depicted in the adjacent chart of dataset plots. Conclusions: The lack of predictive skill of the IPCC's climate models is likely due to their being dominated by atmospheric CO2 level inputs (CO2-centric). The actual empirical evidence indicates that changing CO2 levels are more a result of global temperature changes than changes in human CO2 emissions. Changes in global atmospheric CO2 are lagging about 11–12 months behind changes in global sea surface temperature. Previous climate-model, failed-prediction and peer-reviewed postings. Modern, historical, climate-model and greenhouse-gas charts. In climate science reality, the actual global temperature observations over the last 15 years do not support the catastrophic anthropogenic global warming (CAGW) hypothesis. Central to the CAGW hypothesis is that increasing human CO2 emissions will raise atmospheric levels of this greenhouse gas. Subsequent to the atmospheric CO2 increase, global warming will automatically and consistently increase. 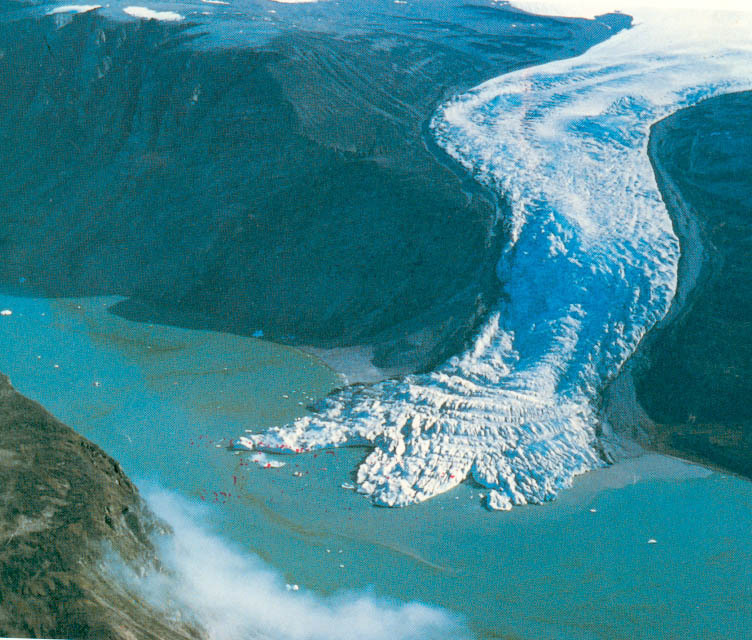 Once the globe starts warming, the AGW hypothesis states that a high climate sensitivity to CO2 will initiate a dangerous positive feedback loop: the rising temperatures will increase water evaporation; the powerful atmospheric greenhouse gas water vapor will then increase; then global temperatures will increase even more, the melting of ice sheets occurs; thus, less solar energy will be reflected into space; and global temperatures will then increase even more; and etc., etc. This powerful and relentless positive feedback loop will produce unequivocal, robust, significant, unprecedented, irrefutable, rapid and accelerating global warming. At least that is what every "expert" climate model based on the CAGW hypothesis predicted. But did the above prediction/scenario/forecast happen? Nope, not even close. In fact, the opposite happened. 1. The far right column (grey) shows that CO2 levels were increasing at a 147 ppm per century rate by the end of July 1997. Actual CO2 levels were at the 364 ppm mark. 2. For the 15 years ending 1997, global temperatures were increasing at +1.08°C per century trend (red column). 3. Since July 1997, the growth of CO2 levels has increased to a 197 ppm per century trend, and now stands at the 395 ppm mark. 4. After 30 years of increasing human CO2 emissions and faster growing atmospheric CO2 levels, the last 15 years have witnessed the previous global warming morph into a global cooling tend (blue column) at a -0.24°C per century trend. Conclusions: The climate scientist and climate models that have long predicted catastrophic global warming from CO2 emissions are proven to be undeniably incorrect. The AGW hypothesis does not reflect climate reality. The actual empirical evidence proves the CAGW hypothesis to be irretrievably wrong. The climate sensitivity to CO2 levels is, at best, tiny. The natural forces of the climate will produce negative feedbacks that completely overwhelm the hypothetical CAGW positive feedback loop. Thus, while CO2 emissions will likely induce a slight warming, the natural climatic forces will dictate and dominate our climate future. Finally, any "science" association, journalist, politician, celebrity, weatherperson, bureaucrat and pundit who says that dangerous global warming is happening, is unequivocal, is rapid, is irrefutable, is unprecedented, is robust, is significant and is accelerating can only be one thing: he or she is a pathological liar. Additional modern, regional, historical and fabricating-fake temperature charts. Severe-weather charts and list of past severe-weather events. While the recent U.S. higher temperatures during early 2012 (as seen in the above chart) has been very enjoyable, how does it compare with past U.S. temperature changes over the long-term? And, is the 2012 U.S. warming a result of human CO2 emissions as some chicken-little pundits have claimed? The chart below adds some context to help sort out how the recent warming compares to past U.S. temperature change. See that red dot way over on the right side? That's May 2012. More specifically, that's the May 2012 increase in the U.S. temperatures over May 1997 - a 15-year period. The jagged red curve prior to the May 2012 red dot represents all the 15-year changes in temperature, calendar month to calendar month. Plus the chart's blue curve is the 5-year average of those 180-month (15 years) temperature changes. Did you note that the current 5-year mean of long-term U.S. temperature change since 1910 is not exactly "unprecedented"? Did you note the average is not exactly "accelerating"? And btw, did you note that the blue curve was higher in the 1930's than during the last two decades? And, what about those black dots? Oh, that's right, they represent the actual atmospheric CO2 levels, which are supposedly causing unprecedented, unequivocal, accelerating, rapid and very dangerous long-term warming increases. We pose the above rhetorical questions for a reason. It's always important to consider the actual temperature empirical evidence. Then compare it to what is reported. Then put it into context, from both a long-term temperature change and CO2 perspective. Although the U.S. (and the rest of the globe) has warmed from the bottom of the Little Ice Age, the long-term warming is not accelerating dangerously from increased greenhouse gases, be it CO2 or other. That is the objective determination from the data. The final conclusion? Essentially, the actual temperature change evidence is contrary to the scary global/U.S. "warming" stories and climate change fear-mongering that the NY Times, the Washington Post, the Los Angles Times, CNN, NBC and other mainstream press outlets religiously (fanatically? ), without due diligence, deliver. Doomsday climate scientists would have everyone believe that human CO2 emissions causes long-term climate change in form of "accelerating" warming, especially the oceans. If this were the case, then it should be easy to prove using the global ocean temperature observations from NOAA. As the adjacent chart depicts, while atmospheric CO2 levels have steadily increased (black dots), the plot of the 30-year change in ocean temperatures (jagged blueish curve) exhibits wide variation.The smooth blue and grey curves represent polynomial fitted trends to the observations, clearly demonstrating that trends in CO2 and ocean warming are not closely related - well, truth be told, they're moving in very opposite directions. From these opposing trends, one could safely surmise that the correlation between CO2 levels and long-term ocean warming is, in fact, not robust, but rather weak. Moving on, the red curve is a 5-year average of the long-term temperature change, which obviously indicates the current 5-year average of change being well below previous values, and is now declining. The red curve also reveals that the historical temperature change prior to the 1950's was significantly higher and actually accelerated faster than that experienced over the last three decades (the modern doomsday "global warming"). Conclusions from the actual NOAA empirical evidence: Long-term ocean warming has likely not been a result of human CO2 emissions (a tiny addition to natural greenhouse gases). Long-term modern warming of the oceans is neither dangerous, rapid, accelerating, unprecedented nor unequivocal. Starting around 1998, the modern ocean warming stabilized and slowly morphed into a cooling phase. The global warming science facts are irrefutable, the inconsistent, sporadic long-term ocean warming since the early 1900's does not support the climate doomsday scientists - unequivocally, the empirical evidence mocks them. Note: The above chart plots the long-term ocean temperature changes (30-year changes). For example, the temperature change datapoint for April 2012 represents the change from April 1982 to April 2012. Likewise, the January 1910 datapoint represents the temperature change from January 1880 to January 1910. Read here. Among scientists, it has become common knowledge that the IPCC's climate models continue to be divorced from reality (see chart left). The models are the foundation of "consensus" that the IPCC and climate doomsday scientists fabricated in an attempt to stifle debate. As the adjacent updated IPCC chart shows, the recent years of non-warming, despite a massive increase in human CO2 emissions, is an empirical evidence consensus of a scientifically lame AGW hypothesis promulgated by the IPCC. While the empirical evidence continues to corroborate the failure of the IPCC "consensus" and its climate models, scientists push on with their research to better understand what are the real climate change causes that would drive global temperature change, be it warming or cooling. Indeed, a lot of new effort has been focused on atmospheric aerosols and their impact on global temperatures, which everyone agreed the IPCC was woefully ignorant of. The most recent scientific efforts have proven conclusively that aerosols are a major influence on temperatures and climate change - unfortunately, there is no "consensus" as to direction and degree of influence. "New papers are constantly popping up in scientific journals discovering some amazing new impact of dirty air...“Researchers have yet to fully analyse the new results,”...“these are just the first wave of a deluge in modelling data.”...“This is fundamentally new science,”...“The new generation of models is changing the kinds of questions we face as scientists.”...It seems that climate modelers are finding surprises galore with their new play toys—warming and cooling, drying and increased precipitation—all linked to aerosols...Inundated by a wave of new results, confusion reigns. “What we need now is to really understand what the models are doing, and why they differ,”..."
Adding to the major aerosol confusion that climate science now has, is the remaining huge and original unsolved mystery of CO2. Yes, CO2 and its associated 'carbon cycle' still remains a significant mystery beyond scientists grasp. The newest research confirms there is a 'Carbon [CO2] Puzzle' that scientists just can't explain. This remains a bold admission that historical climate change (in terms of CO2's impact) remains beyond the comprehension of the IPCC and its computers; and, likewise, climate change of the future science is still unable to solve the basic CO2 riddle due to a very fundamental lack of knowledge - "where the heck does CO2 go?". Conclusions: The IPCC "consensus" on climate change causes (ie, human CO2 emissions) has become a non-consensus over recent years, as both the global temperature empirical evidence and new research on other climate impacts have substantially confirmed. While the IPCC and the doomsday client scientists cling bitterly to their one-dimensional, almost delusional CO2 fanaticism about climate change, the public and policymakers remain unconvinced. Previous climate-model postings. Climate-model, modern and historical temperature charts. Here is the typical plot of the impact of CO2 emissions on global temperatures. As a change in pace, a different depiction of "global warming" is adjacent. The left side of this chart reveals the current 15-yr per century global temperature change trend (-0.12 degree), as of April 2012 - the blue bar near the bottom. The grey bar represents the massive amount of human CO2 emissions released into the atmosphere over the last 15 calendar years. In contrast, for the previous 15 years ending April 1997, the red bar represents the per century temperature change trend (+1.08 degree) and partially hidden grey bar the total human CO2 emissions released during the calendar year span of 1982 - 1996. The data portrayed in this chart, when combined, represents the last 30 years (360 consecutive months, starting May 1982 and ending April 2012) of human CO2 emissions and global temperature change. Additional modern, regional, historical, fabricated-fake, and climate-model charts. Read here. The manipulation of temperature datasets, by climate alarmist scientists, to bolster the case for anthropogenic global warming has been discussed often at 'C3' and is even admitted to by those with close association to the Climategate fiascoes. One of the simplest means to bolster the case for modern global warming, after 1950, is to "adjust" temperatures down (i.e. cool them) prior to 1950 - voila, modern global warming is enhanced by data manipulation alone. As can be seen in the above images for several individual EU climate stations, the blue lines represent the original temps and the red curves, pre-1950, the "cooling" adjustments for the period of 1920 to 1950 are obvious. Conclusion: The over-the-top catastrophic global warming alarmist, anti-CO2 fanatic, Bill McKibben, asks us to connect the dots: global warming statistics are purposefully manipulated to establish faux modern global warming. Case closed. Prior connect-the-dot postings. Additional fabricated-fake, modern, historical and climate-model charts. The farcical 'connect-the-dots' campaign about "evil" CO2 is based on the non-scientific opinions and speculative predictions of both NASA's James Hansen and the UN's IPCC. Time and time again, their predictions, and those of other alarmists, are proven to be wrong. The adjacent chart is another example of just how wrong the anti-CO2 alarmist crowd has been. Their prediction that increasing CO2 emissions would cause an increase in severe weather, such as tropical storms, is galactically incorrect. As a result, their doomsday predictive capabilities have become an internet joke. And it's not just tropical storms predictions that have been this bad - it's every severe weather category that they've predicted CO2-induced catastrophic events for. Conclusion: The connect-the-dots severe weather increase scenarios, due to higher CO2 atmospheric levels, just don't compute. Instead, the alarmist theory that CO2 causes bad weather events is kaput, buried under an empirical evidence avalanche. The IPCC, James Hansen and Bill McKibben could finally advance social justice if they would choose just to tell the truth, instead of their incessant, self-absorbed fearmongering. Read here. The adjacent chart reveals the number of days between landfalls of a major hurricane striking the U.S. Since the last Category 3, 4 or 5 hurricane strike, it's been 2,412 days and counting. Since 1900, that is the longest span ever between major landfalls. And this significant climate science factoid is contrary to the IPCC "experts" whose consensus prediction categorically claimed that these large devastating storms would be more intense and more frequent, due to the increasing human CO2 emissions and global warming. As is obvious to even the most fanatical believer in the CAGW religion, the scientific, empirical evidence readily documents that the CO2-alarmist "experts" have been spectacularly wrong. With that said, the U.S. is long overdue for a major severe hurricane strike and it could well happen in 2012. Then again, it might not. Either way, the IPCC has proven to be incapable of any scientific predictive skill. Previous extreme climate change and failed-predictions postings. A list of severe-weather events and other severe-weather charts. Over the first four months of 2012, the continental U.S. has experienced very warm and enjoyable temperatures. Yet, despite the warming of the U.S., the rest of the globe experienced temperatures below average, as the chart depicts. The adjacent chart plots the average temperature anomaly for the first four months over the last 17 years ("why 17?" you ask) and the average CO2 level for those same four months. The green curve represents the five-year average of the temperature anomalies and the black CO2 curve is also a five-year average. Obviously, over the last 17 years, hundreds of billions of tons of human CO2 emissions from consumption of fossil fuels has caused the atmospheric CO2 levels to increase dramatically. Yet global temperatures are not rapidly warming but instead have been basically flat to a minor cooling over that time period. Conclusion: The global warming science facts indicate that human CO2 emissions do not cause rapid and catastrophic warming. This empirical evidence from the NOAA climate agency is unequivocal and irrefutable - the world is not facing a climate change, global temperature crisis due to soccer moms driving minivans. Additional modern, historical, fabricated-fake and climate-model charts. Climate alarmist James Hansen has long predicted the catastrophic tipping point of global temperatures from human CO2 emissions. His predictions include the seas will soon be boiling and a significant increase of extreme weather events, due to the excessive warming of the tropical atmosphere. The excessive warming of the atmosphere over the Tropics is referred to as the AGW 'hotspot' and is the key signature of anthropogenic (by CO2 greenhouse gas) global warming. Actual temperature measurements of the tropical atmosphere, as shown above, clearly indicate that the catastrophic 'hotspot' does not exist. Additionally, empirical evidence has the tropical atmosphere cooling over the last 15 years, at a -1.2 degree rate by year 2100, which is exact opposite predicted by IPCC climate models and the "experts," such as James Hansen. Previous connect-the-dots postings. Additional modern, historical, fabricated-fake and climate-model charts.